After paying proper respect to my old sewing needles at the harikuyou 針供養 festival, I started to feel bad about how I treat my other needles. Usually they are scattered on my desk, with random bits of string left threaded to help me find them when they drop to the floor. They deserve a happier place to live. 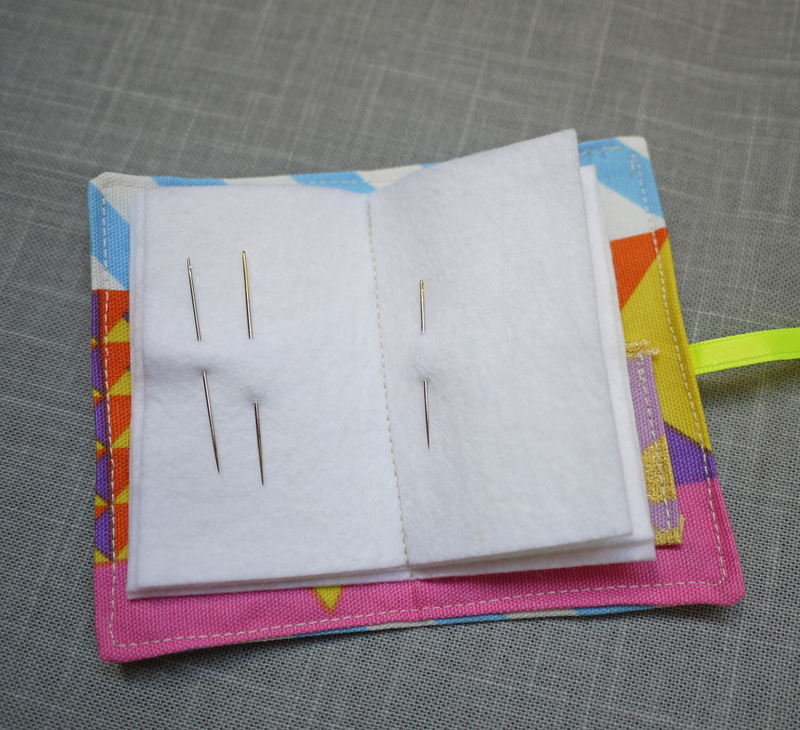 I whipped up this needle book using the new Kokka fabric Candy Party Tsuzuki, a gift from my friend Miss Matatabi. I bought the button months ago because fancy zebras are awesome. I am really excited about this fabric. 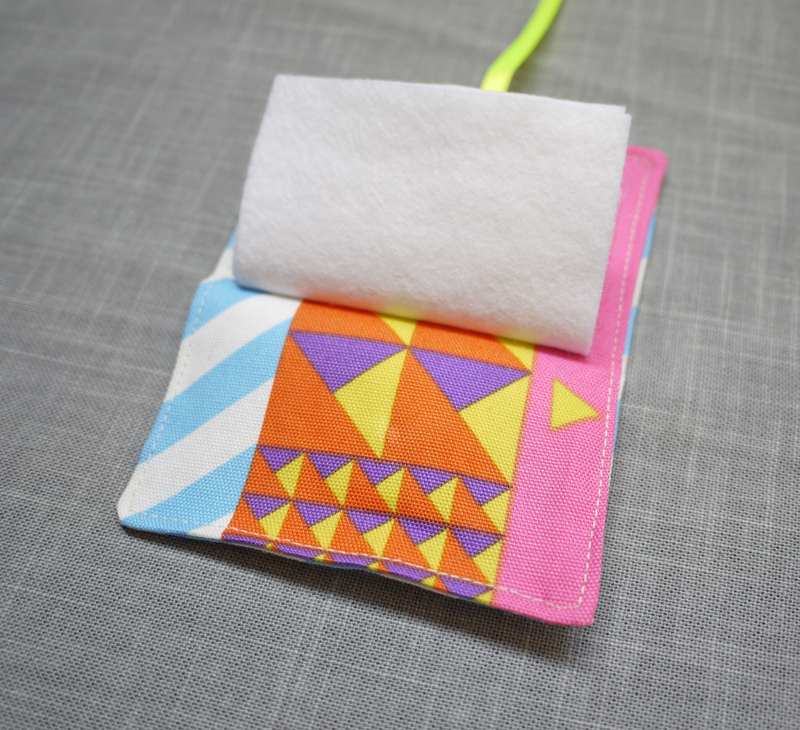 Triangles and neon and sparkles. Yes! 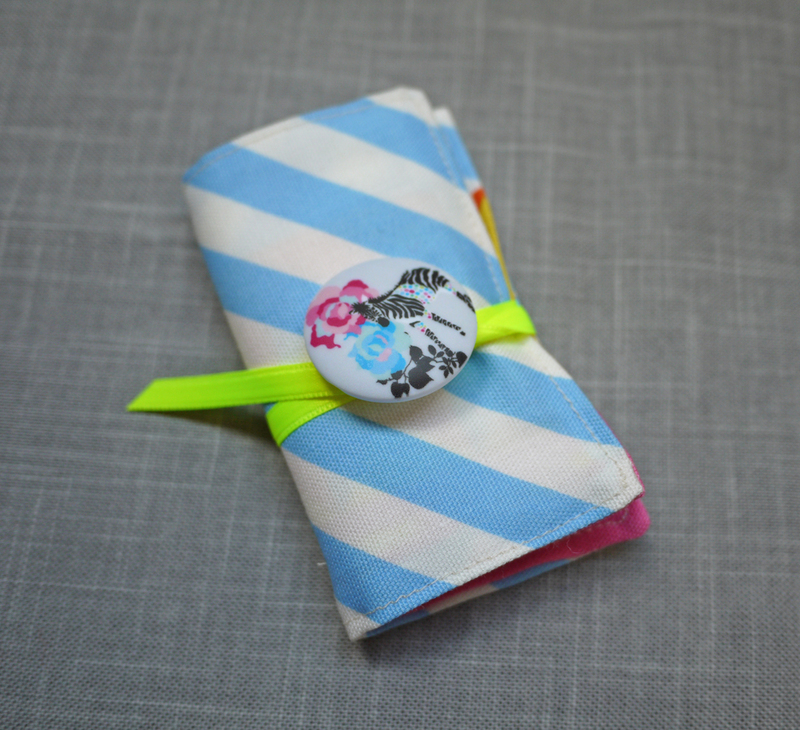 It’s like Harajuku wrapped up in a little fabric bow: super sweet and a bit punky. I put a pocket in the back to hold my Japanese needles because their packaging is just too lovely not to keep. They are from my friend Inna who really knows her needles. They be fancy. 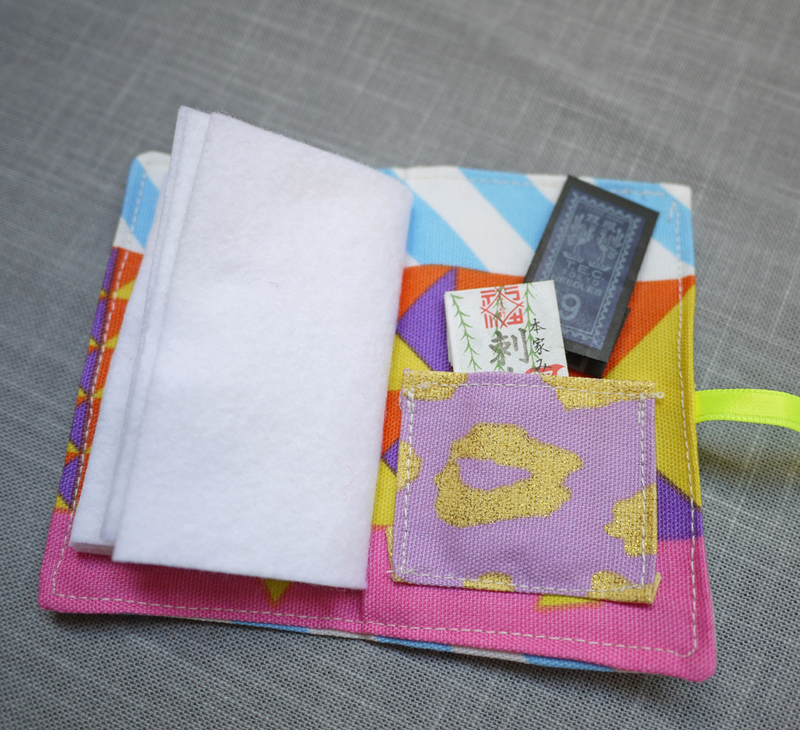 This entry was posted in Crafts, Sewing and tagged DIY, Harajuku, Japan, kokka fabric, neon, sewing needles. Bookmark the permalink. Currently my knitting needles are just stuck in random pots! stuck in a pin cushion with bits of thread still in the eyes. instructions on how to make this please? Really cute and useful !